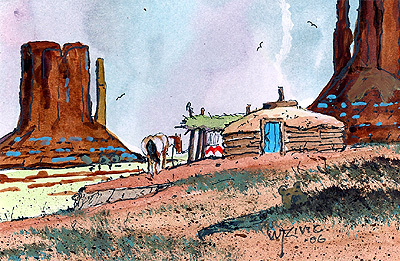 A hogan (or hoghan) is the primary traditional home of the Navajo people. For those who practice the Navajo religion, the hogan is considered sacred. This piece shows a traditional hogan set in the canyonlands of Monument Valley in northeastern Arizona.